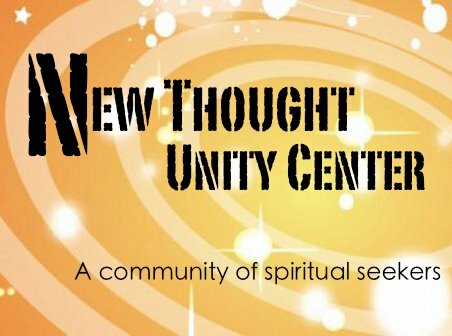 On January 27, 1963, the Unity Center of Practical Christianity located on Madison Road in Oakley and the New Thought Temple merged into the New Thought Unity Center. The first financial report of the fledgling Temple stated that it believed the “success, prosperity, and a splendid outlook for the coming year to the new financial methods put into practice….All contributions are voluntary, neither solicited nor urged. When money is needed for the many activities, an intelligent application of God’s law of supply is the means by which money has been forthcoming. Through the law of love, harmony and intelligent cooperation with God’s law of universal substance, the New Thought Temple has demonstrated adequate supply for all its needs, with good surplus." Christian Larson was a teacher/lecturer of progressive ideas, who had come to Cincinnati in October of 1898. He traveled a circuit throughout Cincinnati and its suburbs, including Covington, Newport, and Dayton, Ohio. In a letter to the New Thought Temple in 1925 as they researched their own history for the dedication ceremonies in 1926, he explains, " …We aimed in all these lectures to cover the widest field possible, giving special emphasis to the high idealism, which at the time, was the inspiring note of the New Thought Movement. We gave special attention to healing; and that work at times was very extensive." In the fall of 1907, Dr. Larson gave up the leadership to devote all his time to writing. Recalling the beginning of New Thought in Cincinnati, Dr. Larson stated, "All pioneer work is well supplied with problems, difficulties, dark days, misunderstandings and criticism; we had our share and more. But everyone connected with the movement continued to hold to the high vision, and I am pleased to say that some marvelous results were attained, both in healing and spiritual development." At the same time the New Thought group was meeting at 7th and Elm, the Unity group was meeting at 4th and Sycamore. As we read through the histories written about these two groups, we note that their paths crossed many times. While the concepts and teachings are the same, there may be some divergent emphases among the groups labeled "New Thought." The founders of the New Thought Temple were an independent group headquartered at the Temple in Cincinnati, while the Unity group was part of an international organization headquartered at Unity Village in Missouri. Both were members of the International New Thought Alliance founded in 1900. It wasn’t long before the beginning New Thought group outgrew their space at the Odd Fellows Temple. In 1904, the society secured a church building at Peebles Corner that provided more adequate quarters for regular Sunday services, weekly classes, a library, and a silence room. At this time there was also a Healing Department. In 1912, Miss Leila Simon, a gifted and well-educated speaker, accepted the position as leader. Because of the growth her leadership generated, the society moved to the Mansion on Gilbert Avenue. A storeroom in the Provident Bank Building near Peebles Corner served as an office, a library, a reading room, and a classroom. To understand the gift this woman gave those she led, read the following quote from Horatio Dresser’s book History of New Thought (published in 1919): "My first New Thought service brought out an audience of less than twenty-five people. Two years later I spoke constantly to from twelve hundred to fifteen hundred people. From the outset, I considered the work of the New Thought Temple entirely separate from personality. It was not mine, but impelled by the Spirit of God, and it is this conviction and consecration that is the moving Power of the New Thought Temple. My first thought from the beginning of my ministry and today is, “If you believe God’s power, prove it. If you teach health, harmony, and prosperity, furnish the actual proofs. "My first move was to refuse to recognize the poverty-stricken consciousness of the New Thought Temple actually. I firmly set aside all gratuitous invitations from members who offered their homes for classes, etc., and also refused to house the activities in cheap rooms. As we had no money, this was a radical step. My first classes were held in my own apartment, situated in the best part of Cincinnati. The Sunday services in a hall seating one hundred people. In less than three months we had outgrown this hall, and my apartment classrooms. Before the end of the first year, we had audiences of five hundred and were finally crowded out of a large auditorium and were compelled to rent hundred to accommodate the people who wished to attend the Sunday services." I now build the Temple of the Lord God Almighty in perfect, visible form. It is a Divine Center through which higher Spiritual Forces of Love, Peace, Wisdom, Strength, Power, Faith, Fellowship, Health, Wealth, Companionship and Joy, now come forth into the world. The idea began to manifest and on March 17, 1916 ground was broken for the new Temple. Leila Simon removed the first spadeful of earth, ably assisted by a small fox terrier, which led Miss Simon to remark “all forces of God are with us.” At this time Sunday services were being held in the Orpheum Theatre with attendance of 1200 people. The library and office moved downtown to the Union Central building and later to the Mercantile Library building. When the lower structure was completed, the Society found that the membership had become larger than the capacity of the new auditorium. It was necessary to repeat the morning service in the evening and to issue tickets to members for the service they had chosen. 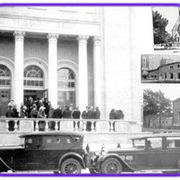 In August of 1925, the congregation approved the completion of the Temple construction. The Alms Hotel offered its ballroom free of charge for Sunday services. Classes were held at the library. This arrangement lasted for over a year. On November 28, 1926, Dr. Harry Granison Hill who had only been leader since September dedicated the New Thought Temple. On December 1, 1959, Rainus Lundquist became the new leader of the New Thought Temple. He served for three years until 1962 when his contract was not renewed because of a “falling off of attendance.” At this point, who would be the new leader was a problem. For whatever reason, and looking through the papers that remain, the only information available suggests that neither Divine Science, Religious Science, or the International New Thought Alliance could provide a candidate. So negotiations with the Unity Center in Oakley began. By affiliating with the Association of Unity Churches which was like New Thought in basic philosophy, a leader would be supplied. In turn, the Unity Center would have a home with enough room to grow. 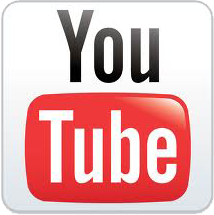 We have grown a lot since this history started, and we continue to evolve. We invite you to participate in creating our future history - a future history of inclusiveness, compassion, and rich experiences for all age groups.